The MINN Summit Planning Committee is a dynamic group of volunteers committed to the success of our annual flagship event. Our committee is comprised of experienced practitioners, internationally-focused students, and global citizens who serve as team leaders and supporting members in varying capacities for 10 different sub-teams including: Advisory, Evaluations, Logistics, Marketing and Communications, Marketplace, Registration, NGO Outreach, Scholarships, Speakers and Volunteer Coordination. Want to get involved? Let us know by email or through this form! Please include your contact information with "Summit" in the subject line, along with any specific interests (topics, skills, etc) and we will get back to you right away. 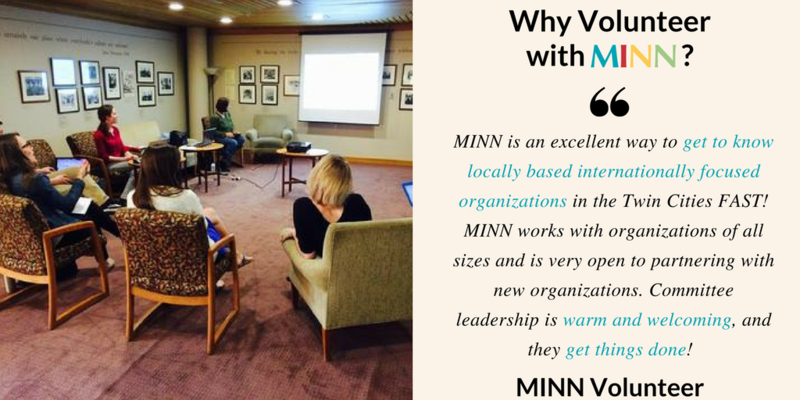 Check the MINN Calendar to see our upcoming meeting dates and events. Thank you for your interest in the MINN Summit Planning Committee! Click a committee member's name to view their LinkedIn profile.